What a way to end the summer! 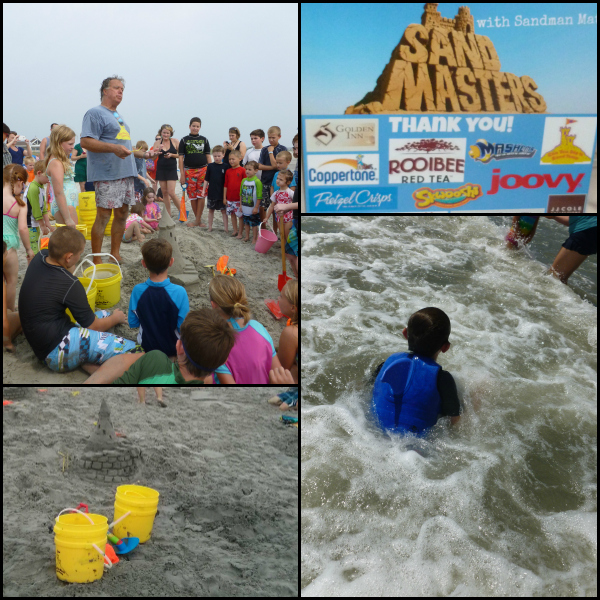 My friend Joey Fortman recently invited my family, along with other local families, to join her at The Golden Inn so we could learn how to make sandcastles with Sandman Matt! You may have seen Sandman Matt on the show Sand Masters. He has created some of the most magnificant and detailed sand castles that I have ever seen! This is the sand castle that Sandman Matt created while at the Golden Inn - Avalon New Jersey. Isn't it cool? As you can expect, kids on the beach were completely mesmerized with this gigantic sand castle (which explains why the bottom of the castle needs a bit of repair from little hands pressing a little too hard.) Shortly after I snapped this photo, Matt put his magic to work and completely redesigned the bottom of the castle so that it was in tip-top shape again. Sandman Matt spent a couple hours helping the kids how to make some pretty amazing sand castles. We used his special 'Can you dig it sand tools', bucket and form builder which definitely made it easier to work with the sand and get a good shape for our castle. 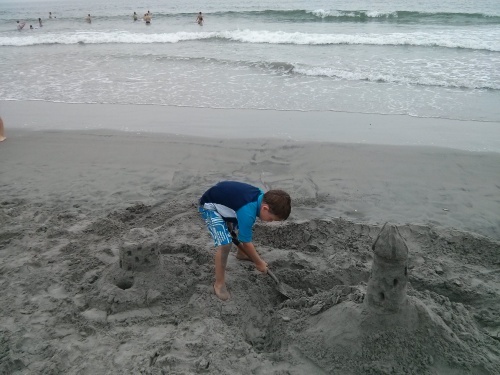 My son had fun building this castle with my husband and we are excited to use the 'Can you dig it sand tools' the next time we're at the beach! Thanks to the Golden Inn for hosting the event. We love Avalon, NJ and it's great to see the businesses along the Jersey coast back to business after Hurricane Sandy! Disclosure: The event was hosted by Joey Fortman of Real Mom Media and the Golden Inn. All opinions are my own.